Oman’s business industry has just been enhanced with the opening of The Oman Convention & Exhibition Centre (OCEC)’s convention facilities. Part of the new Madinat Al Irfan urban development in Muscat, which is being developed by Oman Tourism Development Company (OMRAN). 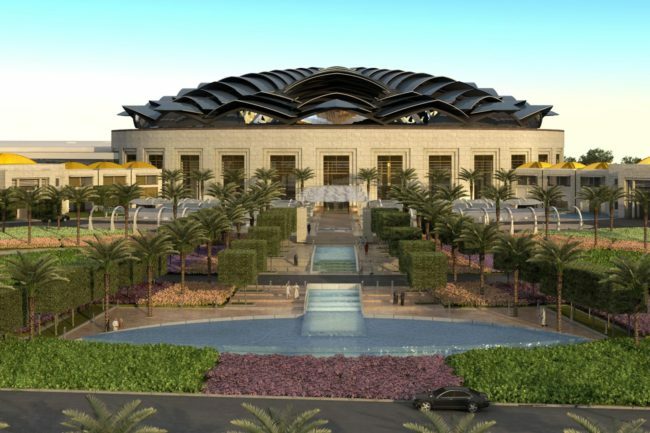 The purpose built centre now offers two ballrooms (including the largest ballroom in Oman), a 456 tiered-seat theatre, 22 meeting rooms in addition to the already opened Exhibition Centre. In a few months’ time, the final part of the complex, the 3,200-seat theatre will open its doors for the first performance. The Centre focuses on events that will bring significant strategic and economic benefit to the country and that are in line with Oman’s 2040 vision. Working closely with the Oman Convention Bureau, OCEC is introducing the world to Oman and building awareness of the business events’ opportunities in the country. The newly established Oman Convention Bureau has also played a vital part in promoting the country’s business events industry by providing assistance and spearhead growth of the emerging industry. OCEC’s much-awaited opening has contributed significantly to the business events industry in the country as well as the region with recent successes including the IRU World Congress staged by the World Road Transport Organisation that will bring 800 delegates in November, the World Hospital Congress of the International Hospital Federation (IHF) that will bring 1,000 delegates in 2019, the 40th SICOT Orthopaedic World Congress 2019 held by the International Society of Orthopaedic Surgery and Traumatology – 2,500 delegates, the Royal College of Obstetricians and Gynaecologist’s World Congress in 2020, that will attract 2,500 delegates and the World Cancer Congress in 2020 that will bring 3,000 delegates to the Sultanate.